This Master of Arts degree in Montessori Education is offered in conjunction with Montessori Teacher Education Programs which are accredited by the Montessori Accreditation Council for Teacher Education (MACTE) to prepare high quality classroom educators. This program prepares current educators to teach in Montessori public, private, and charter schools. Graduates receive a Master of Arts in Montessori Education from Sarasota University and may be eligible for professional certification through affiliations established with MACTE-accredited Montessori Teacher Education Programs. Through these arrangements, the degree emphasizes both practical online and field-based Montessori classroom learning experiences. Supporting this approach, course offerings incorporate a variety of distance education techniques supplemented by classroom based residencies. Students seeking MACTE certification also participate in an internship offered through the partnership institution training center. Each Montessori Teacher Education Program that has a recognized affiliation with Sarasota University has been accredited by the Montessori Accrediting Council for Teacher Education (MACTE), a U.S. Department of Education recognized accrediting agency for Montessori education. Please scroll down to view our list of affiliations. The Masters degree in Montessori Education is designed to enhance qualifications for individuals in classroom teaching incorporating the Montessori approach to education. Working in conjunction with affiliated Montessori Accreditation Council for Teacher Education (MACTE) accredited Montessori Teacher Education Programs, the degree offers both a conceptual understanding of Montessori education as well as applied teaching techniques for its effective implementation. The Masters degree incorporates elements of affiliated Montessori Teacher Education Program instructional modules into Sarasota University’s graduate degree classes. The Masters program is structured to integrate MACTE requirements for accreditation by course content and contact hours as part of the degree curriculum. This degree program is 36 credit hours, with fully online courses as well as blended learning courses with short, intensive residencies. 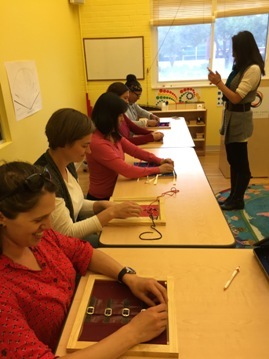 Working with MACTE-accredited Montessori Teacher Education Programs, the University provides practical classroom experiences for observations as well as training sites for residencies. In addition, for those seeking a MACTE credential, the required supervised internship is offered through a partnership training center and requires extensive observation and practice in a Montessori classroom outside the scope of the degree program. Graduates receive a Masters in Education degree from Sarasota University, and may be eligible for MACTE certification through an affiliated Montessori Teacher Education Program. The listing below summarizes MACTE competencies and Objectives for each of the courses required for certification. MACTE Competencies For Elementary I and II Montessori Teacher Candidates. Evidence of a baccalaureate degree from a U.S. institution of higher education that is accredited or in candidacy status with an accrediting agency recognized by the U.S. department of Education. International students must have their degree evaluated by a recognized member of the National Association of Credential Evaluation Services (NACES). Evaluations and transcripts received directly from the evaluation service will be accepted as official documents. Foreign transcripts that have not been evaluated will not be accepted by the Office of Admissions. All documents issued in a foreign language must have a certified English translation attached. A “B” average (2.7 GPA) or better in all work as an undergraduate student, or a “B” or better average in all work attempted in upper division undergraduate studies, or a “B” or better average in previous graduate work. Official transcripts from other institutions of higher learning attended for courses to be applied to the program. A personal statement (500 words) of professional and educational goals. References from three people who can attest to the likelihood of your successful completion of the degree program. For students for whom English is a second language, a minimum score of 530 on the paper-based or 79 on the computer-based Test of English as a Foreign Language (TOEFL), 6.5 on the International English Language Test (IELTS) or 50 on the PTE Academic Score Report. Satisfactory completion of program requirements including program specific prerequisites, and fulfillment of all financial obligations. Computer At a minimum, students must have regular access to a computer with Internet connection (preferably broadband) and a web browser. Students are expected to be knowledgeable in basic computer skills. Personal competence in word processing and using email programs is required. Hardware PC Users: Pentium II 300 or equivalent with 96 MB memory, CD ROM, Monitor, Sound Card and Printer. Operating System: Windows XP or higher Mac Users, please note: Coursework should be accessible via Mac software. Support is available for Mac users. Internet Connection Subscription to an Internet Service Provider (ISP) is required (broadband access is highly recommended). Broadband access can be cable modem, digital subscriber line (DSL), T1 Connection, or LAN connection or its equivalent. Students are responsible for clearing any firewall and/or security issues if access to the SU Portal is attempted through a workplace network. Web Browser Make sure you have the best online experience by upgrading your browser to the latest versions of Internet Explorer and/or Firefox. Sarasota University has established affiliations with MACTE-accredited Montessori Teacher Education Programs to provide students, who have not already earned their MACTE certification, a variety of programmatic options to best fit their particular needs and circumstances. Age of Montessori was founded by Mary Ellen Maunz in 2011, after decades of Montessori classroom teaching, training of teachers and administering a large school. Originally certified in Early Childhood by AMI and in Elementary I and II by the Pan-American Montessori Society, Mary Ellen was then mentored for more than 20 years by Dr. Elisabeth Caspari, personal friend and student of Maria Montessori. Accredited as an independent course by MACTE for our Early Childhood Program (2 ½ – 6) and in process of seeking accreditation for our new Elementary I & II program to open September 2015, Age of Montessori offers the highest quality blended teacher education programs available. We are delighted that we can now offer our students this option to gain their Masters’ degree in conjunctions with our Montessori certification program. We begin our course of study with a deep and thorough study of child development, Montessori philosophy and psychology as well as the spiritual preparation and transformation of the teacher in a robust, interactive online environment over a period of eight months so students can work on the program in the convenience of their homes as they go about their daily lives. This online component includes videos, online text, hard copy text assignments, narrated PowerPoint shows, nine academic papers to be uploaded, regular forums for dialogue between students and between students and faculty as well as unique archived video footage of Elisabeth Caspari. The online course concludes with a final written theory exam. Transforming the Adult… …constructing the guide. The Institute for Guided Studies (IGS) provides Montessori programs and support services to educators, school administrators, and parents, for the purpose of helping them transform themselves, their families, classrooms and school communities – to better serve the children in their care by promoting Montessori as a peaceful approach to life. The Institute for Guided Studies provides full Montessori teacher preparation, supervision, consultation, staff development, workshops, seminars, retreats, plus, parent and community orientations—all designed to meet your specific needs. 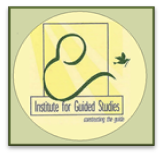 A major strength of the Institute for Guided Studies is its mobility. IGS is active in local and global communities—a pioneer in founding new Montessori schools and beginning new Montessori training programs in the private, public and corporate sectors. Some of the Institute’s projects are at various stages of development in the countries of Egypt and Croatia. Dr. Sweet Miller, the founder, was trained by Dr. Helen K. Billings. She remains connected to the Montessori community and acts as educational consultant for IGS. She has been involved in Montessori implementation in eleven school districts in South Carolina and the Montessori teacher education program at Lander University, Greenwood, South Carolina. Dr. Sweet Miller, as representative for IGS, was a founding member of the South Carolina Montessori Alliance Education (SCMA). Dr. Helen K. Billings, who was a Montessori child, described herself as an international educator for peace and champion for the child; to her students and protégés when questioning behavior, the environment, actions or dress, would say, “Oh, honey, is that beautiful?” Dr. Billings was the catalyst for many of today’s Montessori teacher educators and organizations. There are connecting threads directly linking IGS, MEPI, and many of our leaders to Dr. B. and her strong beliefs in inclusion and holistic education. IGS is proud to be one of the training organizations that continue shining the light she kindled. The Institute for Guided Studies is now led by Mary Helen Cline. This Master of Arts degree in Montessori Education capitalizes on an affiliation with the MACTE-approved Montessori Livetm educator training program to offer practical learning experiences supported by the philosophical foundations of the Montessori approach. This degree program is 36 credit hours (45 contact hours per course) with ten online courses, and two blended courses with residencies totaling 15 days and 120 face-time hours. The fall residency includes 16-weeks of supervised teaching. The internship requires extensive observation and involvement in Montessori classrooms. Faculty advisors from the Montessori Live training center will oversee the student initiated search, identification and approval of their field placement(s). Supporting this program, Island Village Montessori (Venice, FL), a Sarasota County Schools’ charter school, provides a lab school experience and is the training site for the two class residencies. A hallmark of the program, the Montessori Livec Video Library contains over 800 streaming videos, enabling educators to study effective lesson presentations at their convenience in their own location. 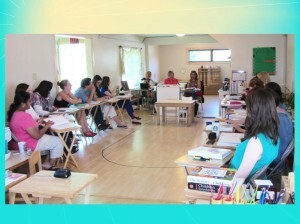 The video presentations are integral to the Montessori educator courses. The streaming video lectures and classroom instructional episodes are presented by experts in the field as are classroom vignettes used for close study of instructional episodes. Through these online video presentations and lectures on philosophy and pedagogy, students gain valuable learning experiences similar to what would be found in on-site courses. This program is intended for Montessori educators seeking a Masters degree and teachers who wish to become Montessori educators. Students who have earned, or are currently working towards their certification from Montessori Live, may be eligible to apply up to 18 credit hours to the Montessori Education program of study. 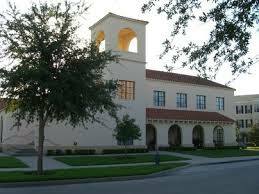 The Orlando Montessori Teacher Education Institute was founded by Ann Neubert in 1988. Ann started other teacher education programs and educated hundreds of teachers during her twenty-three years of dedication and service to the Montessori Method of teaching, before her untimely death in 1990. These teachers, in turn, have taught thousands of children. Ann’s life touched many people throughout the world, and her intelligence, humor, sincerity, and integrity were greatly admired. Her insight and inspiration will live on in the hearts and minds of us at OMTEI, as we dedicate ourselves to continuing to provide excellence in Montessori teacher education. OMTEI offers a unique year long program, which is designed to offer adult learners a reasonable and manageable schedule, while providing them with continued support and feedback. This approach not only provides them with 310 hours of on-going instruction at a reasonabler pace, but also allows for more extensive contact with internship schools and a strong support system among the staff and adult learners. 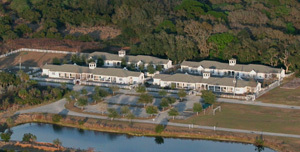 The course is held at the Montessori School of Celebration, 901 Begonia Road, Celebration, FL 34747, which was built to serve children 2 ½ through 15 years of age and serves as a lab school for OMTEI. The program begins with a five week summer phase, followed by four Weekend Seminars and a June evaluation session. 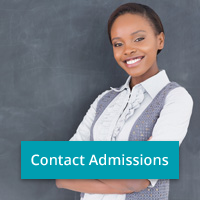 The certification program can be completed in approximately twelve months; however, some students prefer the option of taking the course over two years or of completing the academic phase only. Individualized plans to meet the student’s needs may be arranged with the director. Successful completion of the academic and internship program entitles the student to national Montessori certification under the auspices of the American Montessori Society. Students with a bachelor’s degree will receive an A.M.S. Early Childhood Credential. Those with a high school diploma or who are working towards a bachelor’s degree will receive an A.M.S. Associate Early Childhood Credential, which can be converted to an Early Childhood Credential, when a bachelor’s degree is completed. Practical Life Curriculum -A thorough study of this “key” area which includes Practical Skills, Care of the Person, Care of the Environment, Grace and Courtesy, and Food Preparation. 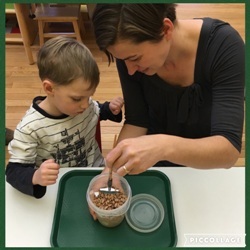 Sensorial Curriculum – A look at the importance of developing the child’s senses as a pathway to intelligence. Math Curriculum -The historical background and study of materials that help children develop the “mathematical mind”. Language Curriculum – Methods of building children’s oral and auditory skills, an introduction to Montessori pre-reading and pre-writing materials, and a look at the Whole Language approach. Each major curriculum area includes extensive materials presentations by the instructors, and supervised, hands-on practice sessions for the adult learners. Educational Philosophy – An in-depth look at the Montessori philosophy, Dr. Maria Montessori’s life, and the role of the teacher. Child Development – The development of the child from birth through age 6, including past and current research. Classroom Management – Ideas relating to creative environmental design, the Montessori approach to positive discipline, and the role of adults in the classroom. Observation Seminars – Presentation of methods and outline of record-keeping techniques to facilitate the use of observation in setting up curriculum and environment. Advisory System – Students will be assigned a faculty member who will follow their progress and assist them throughout the year. Weekend Seminars The adult learners and faculty will come together regularly to review summer lessons, and to continue instruction in all the areas. Additional courses will be given in art, science, music, movement, geography and cultural studies, and administration. There will be the opportunity to meet with faculty advisors, to observe in established Montessori schools, and to share experiences, while gaining new insights to take back to the classroom. Practicum Internship Phase Each Montessori teacher candidate must complete a nine-month teaching practicum experience in a 2 ½ through 6 classroom. This requirement may be met in one of two ways: Supervised Teaching Practicum: This internship is done under the day-to-day supervision of an experienced, certified Montessori teacher. Self-Directed Teaching Practicum: This arrangement involves the intern working as a head teacher in a Montessori classroom, without the daily guidance of a supervising teacher. In most cases, student teachers are paid a salary or a stipend by the practicum school site. 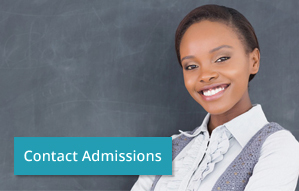 All such arrangements are made between the student and the school and no assurances can be made by the Institute. Faculty Courses offered at the Orlando Montessori Teacher Education Institute are presented by an experienced faculty of Montessori Educators. All instructors are Montessori certified teachers, have worked in classrooms with children and have experience as teacher educators. Many of the staff have run their own schools, some have their own teacher education programs, and all are nationally recognized experts in the field of Montessori. This broad academic and practical experience of the faculty provides the student with an enriched course of study and the opportunity to learn from different perspectives. The Center for Guided Montessori Studies (CGMS) was established in 2008 as an International Montessori Council (IMC) pilot program designed to meet the growing demand for Montessori Teachers by offering a high quality hybrid program which blends onsite residential seminars with distance learning. CGMS offers programs for certifying Montessori Guides for the following levels: Infant -Toddler (birth – to age 3), Primary (ages 3-6) and Elementary (ages 6-12 year). A Secondary (Age 12-18) teacher education courses, and School Leadership/Administrator course are currently under development. Distance Learning Phase: Using the latest internet technology, CGMS presents lectures and curriculum presentations through video streaming. Students complete a variety of meaningful assignments, which are designed to provide concrete experience to deepen the understanding of key Montessori concepts and practice. Weekly interactions with instructors and fellow students in online discussion forums and chats serve to build a rich and supportive learning community and provide additional opportunities for integration of course topics. Practicum Phase: Students are also required to complete a minimum of a 9 month practicum/internship in an approved Montessori classroom serving children for the developmental level of the certification one is seeking. This phase is essential for all students. It runs concurrently with the distance learning phase connecting Montessori Philosophy and theory with everyday practice and providing opportunities for practical application of the course material. Residential Phase: Full Certification Programs require attendance at summer residential sessions, generally before one begins the practicum/internship phase. The 15-day residential sessions provide opportunities for additional instruction, supervised lesson practice and material making. The emphasis on classroom leadership skills helps prepare students for the practicum, providing tools for successfully translating Montessori theory and methods into daily classroom practice. Infant-Toddler and Primary programs require one residential session, Elementary requires two. * *Applicant and candidate in good standing status no way determines the outcome of the accreditation decision by MACTE. Once the onsite verification visit has taken place, and the report and final documentation has been sent to the MACTE office, the MACTE Board of Directors, which is recognized by the USDE as the accrediting body, will schedule the accreditation deliberation of the case. Students also have the option of completing an Associate Certificate, which requires the Distance Learning and Practicum Phases only. Associate Certificate students can upgrade to Full Certification by attending a residential session within 3 years of completion of the online studies. At this time the Early Childhood and Elementary Full Certification programs are MACTE accredited. An application for accreditation has been submitted to MACTE for the Infant-Toddler level. IMC and CGMS standards meet or exceed all MACTE standards. We believe MACTE serves an important role in the Montessori community by providing set standards and fair and equitable opportunities for accreditation for all Montessori organizations and independent training programs. IMC requires all affiliate teacher education programs in North America to obtain MACTE accreditation. The International Montessori Council (IMC) is an international organization of Montessori schools, Montessori educators, and friends of Montessori. It works in close affiliation with the Montessori Foundation. The IMC mission is to encourage Montessori educators, parents, and schools to work together regardless of affiliation, and to provide our school and individual members with exceptional professional development, mentoring, resources and support. We welcome and serve the entire Montessori community. The IMC offers international Montessori school accreditation, Montessori teacher education, and Montessori conferences and retreats. The International Montessori Council and CGMS are committed to creating collaborative learning communities that produces the highest quality Montessori teachers in a lifestyle friendly way. We strive to give adult learners a deep appreciation for the philosophy and spirit of Montessori as well the practical skills needed for a successful and meaningful career as a Montessori educator. For more information on our program, please visit http://www.guidedstudies.com/or call 1-888-344-7897. 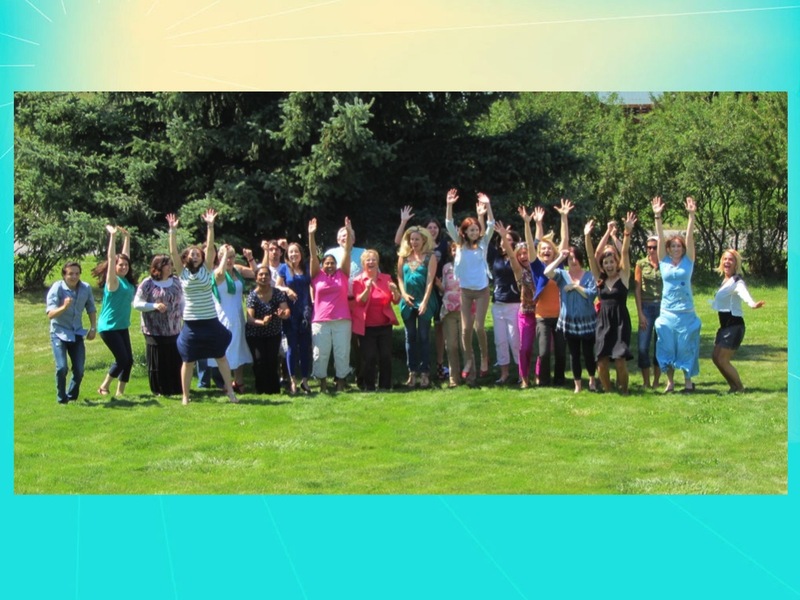 Founded in 2004, MCI offers instruction for teachers in the Montessori method. Dr. Maria Montessori’s educational approach was to observe children carefully and discover their individual needs. She was a great innovator, always aware that education needs to change along with society. The Montessori method places emphasis on educing the whole child and covering all aspects of development: intellectual, social, physical, emotional and spiritual. Building upon children’s intrinsic desire to learn, Montessori created ideal environments full of opportunities for children to experiment and initiate their own education. At the heart of the method are the Montessori materials, beautiful and enticing pieces of equipment which have been carefully designed to incorporate a teaching purpose. Understanding, dexterity and skill are developed each time the child uses them. Our Early Childhood Teaching Diploma course is designed to develop a high level of professional competence in students who wish to become teachers for children two and a half to six years of age in the Montessori method. The course provides an overview of important educational philosophies, which enables students to construct a coherent set of educational values, alongside a detailed study of the Montessori approach. Students are also given precise instructions in the use of teaching aids designed and applied by Dr. Maria Montessori. Our sessions run one day a week and are spaced out over a year so that students have enough time to complete course work and grow in self understanding. During this time they have an opportunity to work with and observe children in our lab school, which reinforces their learning and makes theory come alive. Following the academic portion of the course, students will take written and practical examinations and embark on a yearlong internship. 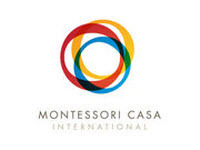 For more information on Montessori Casa International, please visit our website at www.mcidenver.edu or email pb@mcidenver.edu or call 303.523.7590. Committed to the principles and philosophy of Maria Montessori, VMTEC training courses provide the highest quality of preparation for the teacher who will serve the needs of the child. Our courses require an exceptionally high level of intellectual application as well as a commitment to personal growth. Here, you’ll be met with an enriched opportunity to study the young child, apply methodology and observe and learn from experienced Montessorians. The quality in VMTEC really lies in our faculty. With more than two centuries of experience among us, you’ll have access to all of it. Our faculty trainers have taught on several continents: Asia, Europe, North America, including in twelve U.S. states, in both the private and public sector, faith-based schools, daycare centers, and Montessori schools of every type in every area. We pride ourselves on the personal connection that we make with each adult learner. We want everyone who comes through VMTEC to be successful and so, not only do we support you during the academic phase, but also in the practicum phase—and even beyond that. We like to keep our relationship strong with our current students as well as our graduates. We are located in southern Virginia in the city of Chesapeake, and we also have another teacher education program in the Twin Cities of Minnesota. Our Virginia training center is on a 7.5 acre beautiful campus in southern Chesapeake. Our building was designed for Montessori education, through and through (delete), and our classrooms are fully equipped with every material needed. Of course, any training center has Montessori materials, but we have special albums or teacher manuals that have been written particularly for the use in this training center. The authors of the albums are the very teachers who will be teaching you! Our comprehensive Montessori albums have been tried and tested—many of these manuals are more than 20 years old, but they’ve been revised every year so they’re up to date fresh and applicable to you. The VMTEC Minnesota Early Childhood Course is designed to be completed in 12 months. The course of study is a blended program, with one electronic week and 6 weeks of face-to-face instruction during the summer. Distance education meetings or face-to-face practice sessions will be held twice per month during the year. Approximately one week the following summer will include academic instruction, prep, and exams. A 540-hour Montessori internship at an approved Montessori school is required. The VMTEC Virginia Elementary 1 Course is designed to be completed in two years. The course of study is a blended program, with one electronic week and 5 weeks of face-to-face instruction during the summer over the course of two years. A 1080-hour Montessori internship (one year, full-day) at an approved Montessori school is required during the 2020 school year. The Virginia Montessori Teacher Education Center offers an Early Childhood Teacher Education program that will lead to an American Montessori Society (AMS) Montessori certification for teaching children ages 2½ – 6. VMTEC is accredited as an Early Childhood Teacher Education Center by the Montessori Accreditation Council for Teacher Education (MACTE) through 2021. Certified to operate as a post secondary institution by the State Council of High Education for Virginia (SCHEV). We’ve made the application process very easy. You can apply right through our website at vmtec.org or give us a call at (757)547-0221. Using the framework of strength-based leadership, students will learn how to apply leadership theory in a way which promotes a culture of commitment, rather than simply compliance. Based upon a background of positive psychology strength-based leadership recognizes the strengths of all employees as a focus, rather than the remediation of weaknesses as a way of doing business. In this foundation course, positive psychology (Seligman), and strengths psychology (Clifton) are studied as a practical way to accomplish Florida’s leadership standards (Golden). Students learn that great organizations understand that each employee is different and, by emphasizing capabilities rather than deficits, capitalize on those differences. Using the science of strengths-based leadership, students study their own strengths and how to build their educational community around the strengths of each employee to move their schools to greater academic achievement. Compare and contrast Strengths Theory, Seligman’s Positive Psychology Theory, and Purkey’s Invitational Theory. Identify your top five strengths and create strategies for developing a deeper understanding of their value in context and application with people and processes. Understand and apply the tenets of positive psychology by developing a plan on how to focus on a person’s talents and facilitate higher levels of growth in areas such as hope, self–esteem, happiness, hope, optimism, purpose, and resiliency. Analyze the power of partnerships and how important these relationships can be in the development of competence, self–identity, and professional development. Identify and describe important leadership traits within an organizational context, and the added value of strengths–based leadership as a catalyst of productivity, innovation, and increased energy. Describe how to observe and recognize the strengths of others, including students. Apply and demonstrate a strengths paradigm to teaching and learning and guide a student’s desire to learn and grow, develop interest and increased energy from the learning process, and reach increased academic performance. Develop a self–awareness of your own leadership capacities and develop an action plan for factors are vital to leading others and organizations. Analyze appreciative inquiry and how a positive process can assist in continuous programmatic improvement. Students will study generic and their institution’s test, attendance, and graduation data to discuss and describe possible paths to improvement. This course is designed to move leaders from “I think” solutions to “the data suggest” solutions. Students will practice “real world” decision-making to meet the standard: “High Performing Leaders plan effectively, use critical thinking and problem solving techniques, and collect and analyze data for continuous school improvement.” Students will personalize their study to meet the needs of their charter, public and traditional private Montessori schools. Analyze and describe the implications and effects of the No Child Left Behind Act . Identify and outline the various ways that data can be collected and how the data can be used to inform decisions. Describe how data provides educators with an overview of the strengths and weaknesses in targeted areas and why this is important. Outline the benefits of aligning data to connections in learning and what that means. Outline the eight steps that help guide the data–driven decision making process. Explain the Sustainable School Improvement Cycle and the benefits. Outline the various types of data that can be collected and analyzed for measuring student learning outcomes. Describe the limitations of student achievement data that is only based on standardized test results. Compare and contrast dynamic and screening assessments. Identify and outline essential elements of a solid action plan. Describe how to incorporate “Inquiry” into an Action Plan. Describe how baseline benchmarks and other measurements effect developing an action plan. Describe the phases and benefits of each phase of the data–driven improvement cycle. Compare and contrast how to and how not to analyze data and how to build an effective protocol. Analyze and describe how data teams can assist administrators with the data cycle. Explain how student achievement data collection and implementation can determine how well that data support the instructional decision making by principals and teachers. Reflect on and describe your key–learnings from this course. Describe how your personal strengths align to data tasks of a school administrator. In this course, students will explore and analyze various organizational, management, and instructional strategies that work best for educating culturally diverse students. While actively experiencing responsive education within a learning community, students will reflect on diverse cultural experiences to form a personal understanding as a basis to integrate multicultural school/classroom experiences to improve the academic success of all students by building on student personal strengths. The theory of “Multiple Intelligences” and current research available in educational neuroscience will be the basis for developing a plan for meeting student needs to enhance student cognitive, social, and emotional success through a nurturing school/classroom environment. Compare and contrast how school culture can impact and affect the leading, teaching, and learning, of a school. Analyze and describe visible and implicit ways that a school’s culture can reveal itself to administrators, teachers, students, and parents. Describe the 3 levels of school culture (Schein, 1985) and analyze how your campus measures against the 3 levels. Identify and describe how culture creation is an important role for educators and administrators to help shape the culture of a school. Analyze culture re–boot processes and reflect on appropriate ways to improve the culture at your campus. Identify and describe how educators and administrators can create a culture that fosters and supports student learning outcomes. Compare and contrast the differences between transformational and transactional leadership. Compare and contrast ethical leadership situations and analyze how to demonstrate moral and professional accountability. Describe why relational trust is an essential part of successful schools. Describe behaviors that teachers and principals can use to initiate, sustain, and repair relational trust in their schools. Analyze and describe the benefits of developing teachers’ professional capacities for leadership and instruction. Identify school culture factors that support developing professional capacity. Compare and contrast how Professional Learning Communities can be vehicles for increasing teachers’ professional capacities. Describe how effective connections and relationships improve student learning outcomes. Identify and describe the components of a student–centered learning environment. Compare and contrast how a safe and orderly environment contributes to student learning. Describe how supportive peer norms contribute to student learning. Analyze and describe challenges that teachers and school leaders face in working with parents in culturally diverse communities and provide suggestions for overcoming those challenges. Outline how school partnerships with the community can benefit student learning. Analyze and describe a realistic time frame for planning a school culture re–boot from the idea phase to sustaining improved practice. Identify and list key activities of school culture re–boot that should occur during the first year of the re–boot process. Reflect on your personal strengths and how they can aid in creating a culturally responsive school. In this course, students will explore brain research to examine developments in the field of neuroscience, and how these new understandings about the brain and learning can influence classroom practices. Class participants will actively construct their own learning making it personally relevant to their various teaching settings. Topics to be explored include how the brain processes, stores, and retrieves information, art infused across the content areas, processes involved in higher order thinking and learning, transfer of learning, and critical thinking. Compare and contrast the similarities and differences between brain–based learning and the Montessori philosophy. Compare and contrast the similarities and differences between brain–based learning and the Strengths–based philosophy. Explore neuroscience and constructivism and analyze how they align to brain–based learning. Describe specific classroom activities that align to the constructivism theory. Outline specific classroom activities that align to the multiple intelligences theory. Describe why Dr. Maria Montessori established the need for educators to have an organized and clutter–free learning environment. Explore and outline what occurs in the brain function when one experiences stress. Compare and contrast how students perform in a classroom when they have a healthy breakfast versus not eating breakfast. Outline the effects of sugar on the brain and learning functions. Explore the impact of poverty and the correlation between poverty and poor nutrition. Outline the primary functions that are housed in the right or left sides of the brain. Describe and analyze the importance of light for human cognitive brain functions. Describe how playing a musical instrument can stimulate the brain and how music neuroscience supports this. Compare and contrast the benefits of music and math in K–12 education and how students benefit from both. Describe how a Montessori campus could incorporate strategies to develop the relationship between math and music potential in students. Explain the effect of dopamine on motivation. Compare and contrast extrinsic and intrinsic motivation and provide three examples of each. Describe an example of a complex movement that involves many steps and brain functions. Outline three specific movement activities for infants, toddlers, and pre–school children. Describe how your personal strengths align to creating a brain–based learning environment. This course explores a foundational overview of peace psychology principles focusing on the nature, cause, intervention, and prevention of the determinants of peace. Students will analyze how peace psychology can be applied to a variety of interpersonal settings, and to promote conflict resolution and create non-violent social environments. Students will explore various educational theorists such as Dewey, Frobel, Gesell, Montessori, Pestalozzi, Piaget and Rousseau. Development Learning Theory, Behavioral theory, Cognitive Theory, Holistic Theory, and Maturation Theory will be explored as students compare and analyze selected educational philosophies. This course covers the etiology of and the basic philosophical underpinnings of Montessori Education; including a review of the life of Dr. Maria Montessori. The course compares and contrasts Montessori philosophy with other current educational theoretical models such as Gardner’s theory of Multiple Intelligences. The course also covers Invitational Education, and Strengths Theory. 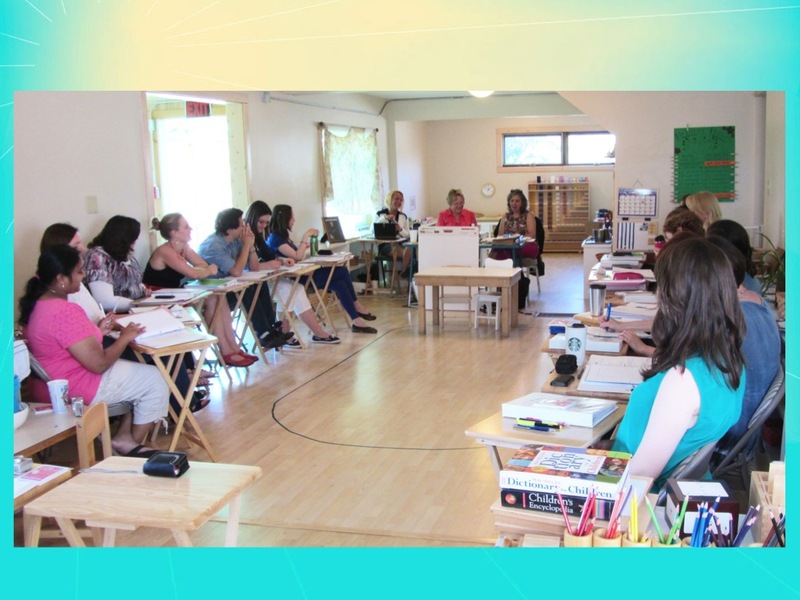 The course addresses Montessori focused practices regarding classroom observation and management. The combination of personal reflection on classroom observation and management, as well as, actual classroom observations is used to deepen the student’s understanding, appreciation of and ability to apply course topics. This course will explore Montessori methods, practices, and pedagogy across multiple disciplines, including: practical life, sensorial, mathematics, language arts, & sciences. Students will focus on comprehending and analyzing concepts. The curriculum is geared towards the learning needs and developmental readiness of children who are ages three to six years old, and is aligned to the MACTE standards. This course will explore Montessori methods, practices, and pedagogy across multiple disciplines, including: practical life, sensorial, mathematics, language arts, & sciences. Students will focus on synthesizing and applying concepts. The curriculum is geared towards the learning needs and developmental readiness of children who are ages three to six years old, and is aligned to the MACTE standards. This course will explore Montessori methods, practices, and pedagogy across multiple disciplines, including: mathematics, language arts, & sciences. Students will explore classroom leadership and innovation, authentic assessment, partnering with parents, and professional responsibilities. Students will focus on evaluation, and creation concepts. The curriculum is geared towards the learning needs and developmental readiness of children who are ages three to six years old, and is aligned to the MACTE standards. This course will explore Montessori methods, practices, and pedagogy across multiple disciplines, including: mathematics, language arts, & sciences. Students will focus on comprehending and analyzing concepts. The curriculum is geared towards the learning needs and developmental readiness of children who are ages six to nine years old, and is aligned to the MACTE standards. This course will explore Montessori methods, practices, and pedagogy across multiple disciplines, including: mathematics, language arts, & sciences. Students will focus on synthesizing and applying concepts. The curriculum is geared towards the learning needs and developmental readiness of children who are ages six to nine years old, and is aligned to the MACTE standards. This course will explore Montessori methods, practices, and pedagogy across multiple disciplines, including: mathematics, language arts, & sciences. Students will explore classroom leadership and innovation, authentic assessment, partnering with parents, and professional responsibilities. Students will focus on evaluation, and creation concepts. Students will focus on the synthesis, evaluation, and creation levels of Bloom’s Revised Taxonomy. The curriculum is geared towards the learning needs and developmental readiness of children who are ages six to nine years old, and is aligned to the MACTE standards. This course will explore Montessori methods, practices, and pedagogy across multiple disciplines, including: mathematics, language arts, & sciences. Students will focus on comprehending and analyzing concepts. The curriculum is geared towards the learning needs and developmental readiness of children who are ages six to twelve years old, and is aligned to the MACTE standards. This course will explore Montessori methods, practices, and pedagogy across multiple disciplines, including: mathematics, language arts, & sciences. Students will focus on synthesizing and applying concepts. The curriculum is geared towards the learning needs and developmental readiness of children who are ages six to twelve years old, and is aligned to the MACTE standards. This course will explore Montessori methods, practices, and pedagogy across multiple disciplines, including: mathematics, language arts, & sciences. Students will explore classroom leadership and innovation, authentic assessment, partnering with parents, and professional responsibilities. Students will focus on evaluation, and creation concepts. The curriculum is geared towards the learning needs and developmental readiness of children who are ages six to twelve years old, and is aligned to the MACTE standards. This course requires Montessori classroom experience that will provide practical application of Montessori knowledge and skills. Educators will demonstrate age appropriate teaching methods through classroom management experience, development of student work plans, and delivery of Montessori lessons.